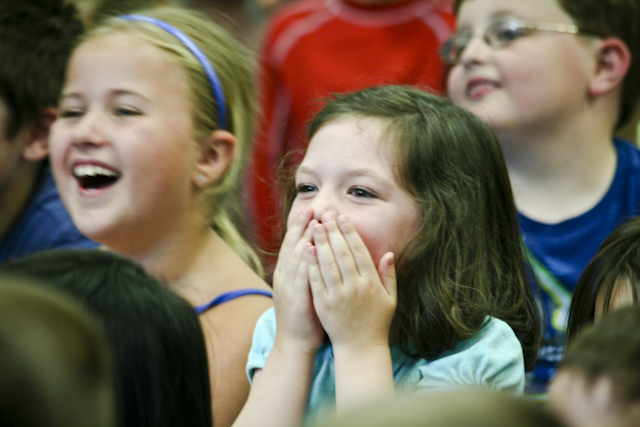 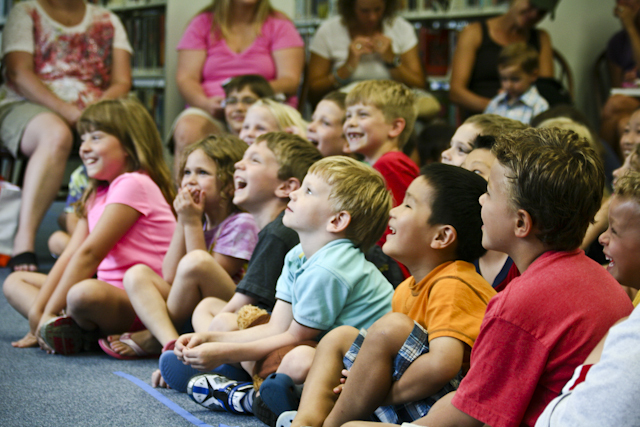 “Jungle Jim” will be returning to the Southborough Library in two weeks. 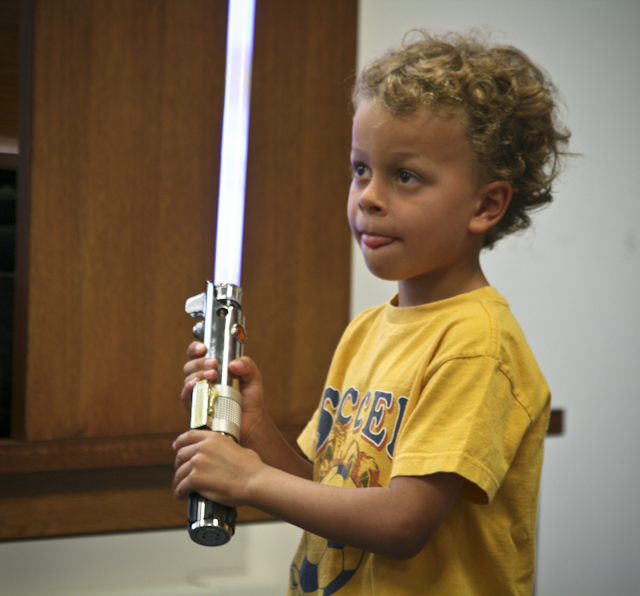 Don’t expect him to be in his safari garb or tropical shirts. 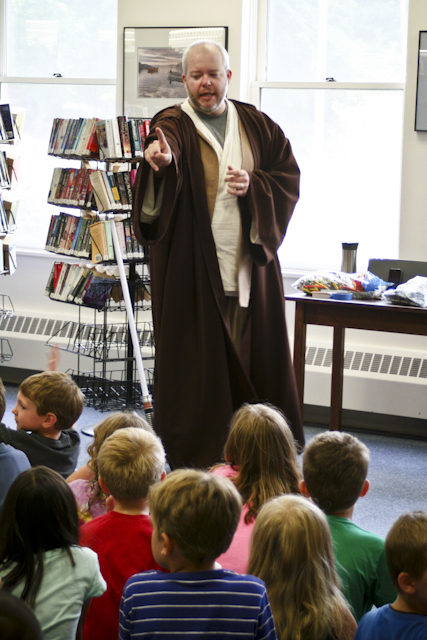 This time, he’ll be donning his Jedi robe. 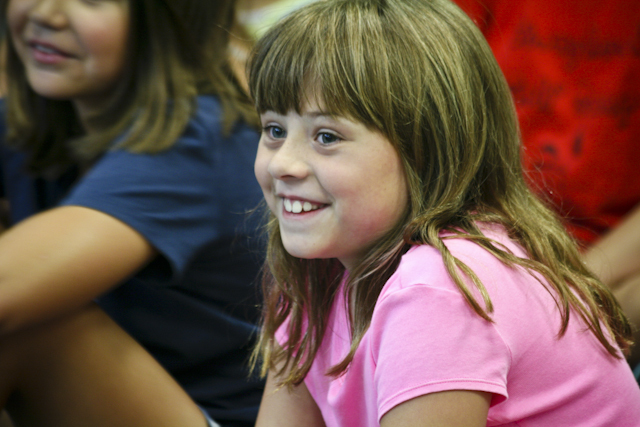 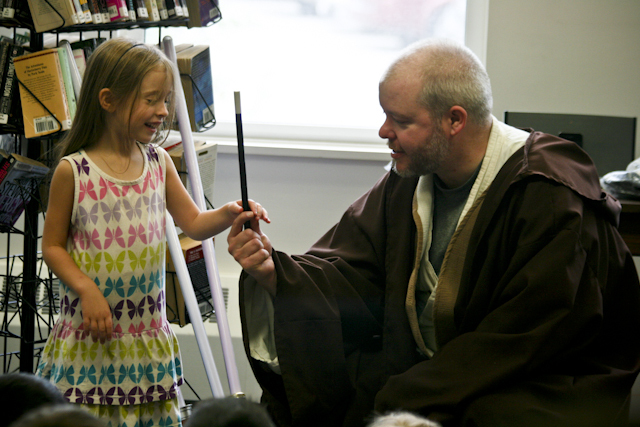 On Thursday, February 21st, youngsters can learn all about the ways of the force. 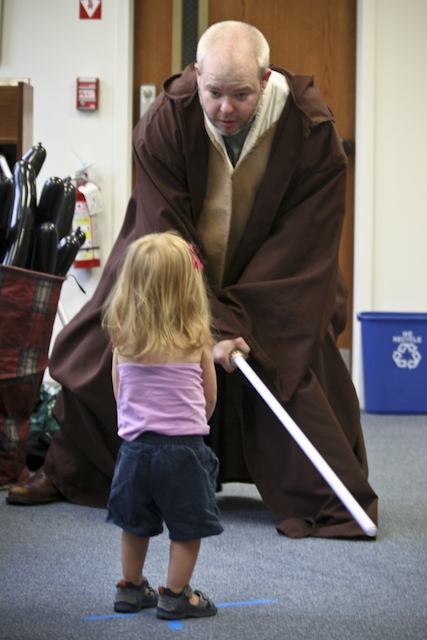 The free fun will take place from 4:00 – 5:00 pm upstairs. 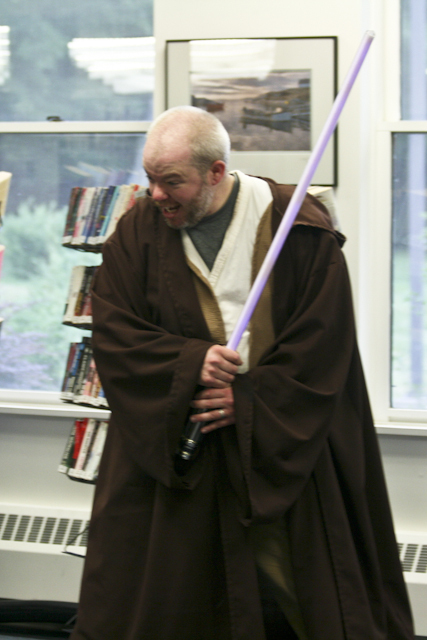 As “Jedi Master Jim” the entertainer held a “Jedi Training” session at the Library seven years ago. 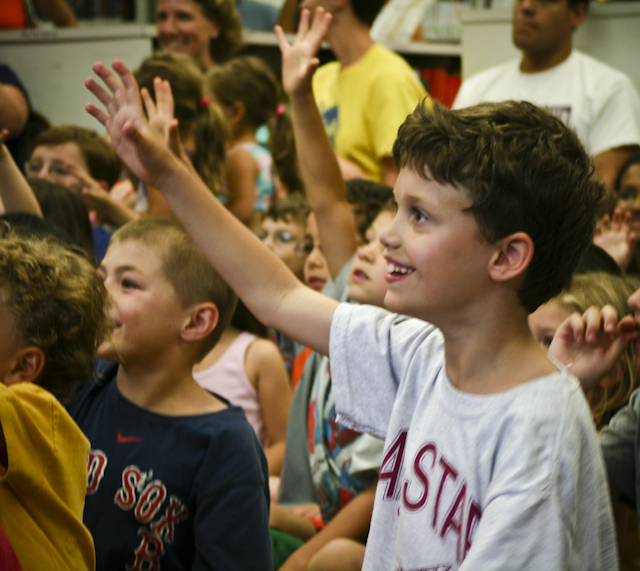 Judging by the photos that Susan captured, it looks like a good time was had by all. 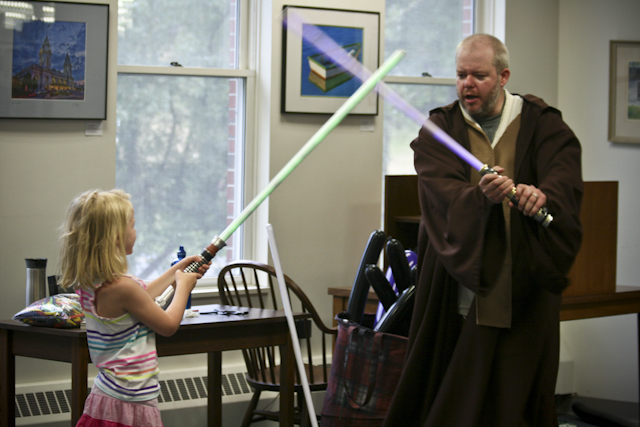 If intergalactic warfare should happen anytime soon, Southborough will be well protected thanks to a new crop of Jedi Knights trained just yesterday at the Southborough Public Library. 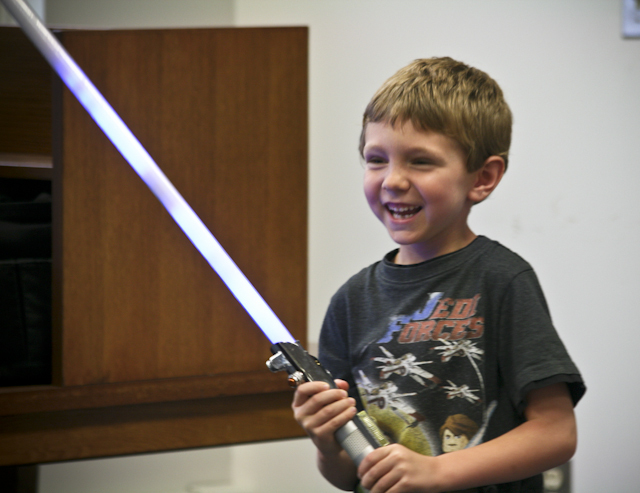 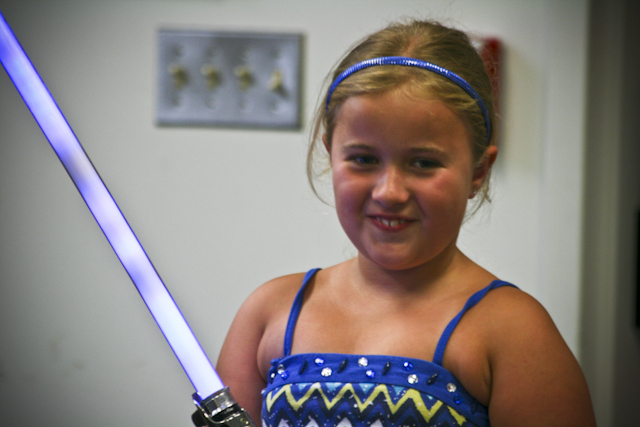 The knights-in-training (Padawans for those of you in the know) learned about the Force, were tested on their knowledge of Star Wars trivia, and ended the session with a light saber duel with Jedi Master Jim.